At Florida Warehousing and Storage, we can help you with packaging or kitting your products. This will lead to reducing your shipping costs and streamlining your business. Streamlining your supply allows us to save your production line costs while increasing the availability of your products. Kitting is a system that creates pre-packaged and pre-labeled parts to organize products that are similar to each other. Kitting can be used in just about any business model. It’s all about organization. The more organized you are the better off your company will be. Here, we want to provide you additional benefits why our kitting replenishment programs is the best fit for your company. By replenishing your kits with us, your business can save itself a tremendous amount of time. Processing parts for your kits could be a long process and would need an efficient way of handling this task. With our program, you can ship your kits to your customers without having to worry if they will receive it on time. As a business, you know that creating extra waste in your supply line is going to increase your expenses down the line. In addition, having an oversupply of kits limits your storage space which will lead to a disruption of your workflow. it is important to us that we do our best to find loopholes in your process. When it comes to replenishing your kits, we make sure we have full control of your inventory. The side effects will be eliminating wastage and controlling your costs. 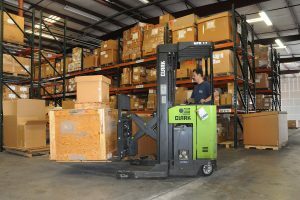 At Florida Warehousing and Storage, our kitting replenishment programs help ensure that your product is where it needs to be when it needs to be there in order to be sure that supplies are always in stock. Having kits helps make this process easier and more efficient. This ties into our Just In Time services. We understand that there are numerous options in choosing a program that suites replenishment of supply such as Continuous Replenishment Program (CPR) and we are prepared to work with all of them. If you are looking to have your kits replenished in a timely manner, contact us now by calling us at (321) 259-7983 so we organize your business for you.